Richard is not following anyone. Richard is a tech entrepreneur, executive and angel investor. 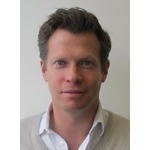 He is co-founder & CEO of Firestartr.co (www.firestartr.co), a new accelerator platform for digital entrepreneurs; a director on the main board and chairman of the compensation committee at Automic Software; co-founder of London Labs (www.londonlabs.co), an incubator; and an advisor to Acunu, Evolven, EQT Partners, HybridCluster, Rightster, Prolin and Pusher. Richard advises and was co-founding executive chairman of Fanatix. As founder, chairman & CEO of Tideway, he sold the company to BMC in 2009, giving them today’s market-leading product. He was the EIR at the inception of Accel Partner’s London office; co-founder and SVP of Orchestream which IPO'd in 2000, attaining a market cap of $1.4Bn and whose product is now successfully sold by Oracle; and established the Moscow office of Monitor Company. He is a governor of the We Are Family Foundation. A World Economic Forum Technology Pioneer at Davos in 2009, he has an MA in Engineering from Cambridge University and dual Australian/UK citizenship. He is married to a Norwegian and has one daughter. He wishes he rowed, swam, cycled, stretched and slept more. Richard was mentioned in a VatorNews article "Jukedeck wins Vator Splash London!" Richard was mentioned in a VatorNews article "Presenting the 10 finalists for Vator Splash London! " Richard was mentioned in a VatorNews article "Why London lacks a PayPal Mafia of its own"
Richard was mentioned in a VatorNews article "The London scene: how it shapes up"